Do you remember making paper snowflakes as a child? Each one had a different pattern depending on how you cut your paper. Well it's just the same in nature - every snowflake is unique within its six sided design. 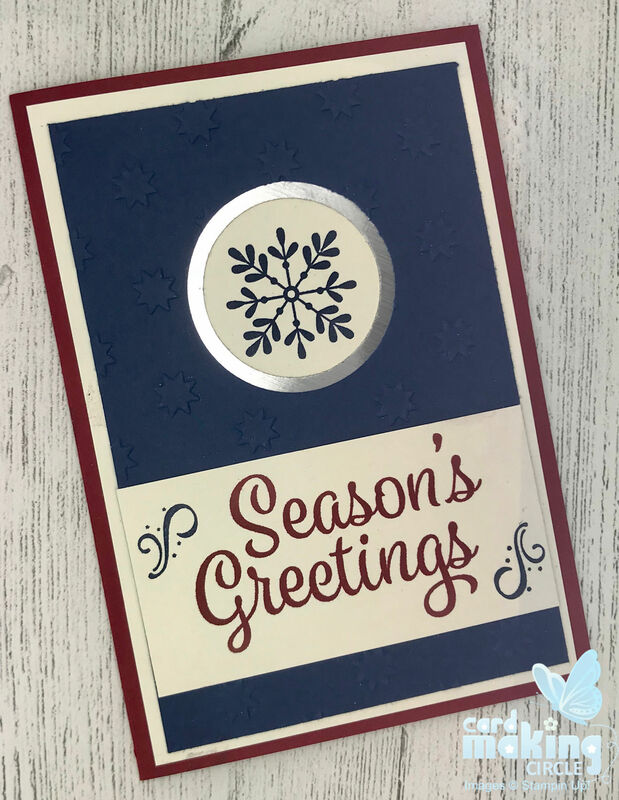 In card making we can create snowflake cards using stamps, punches, dies and embossing folders. Ours may not be unique but we can capture their beauty with different colours and materials. And by using glimmer paper, glitter and sparkly embellishments we can create a crystalline and frosty appearance. 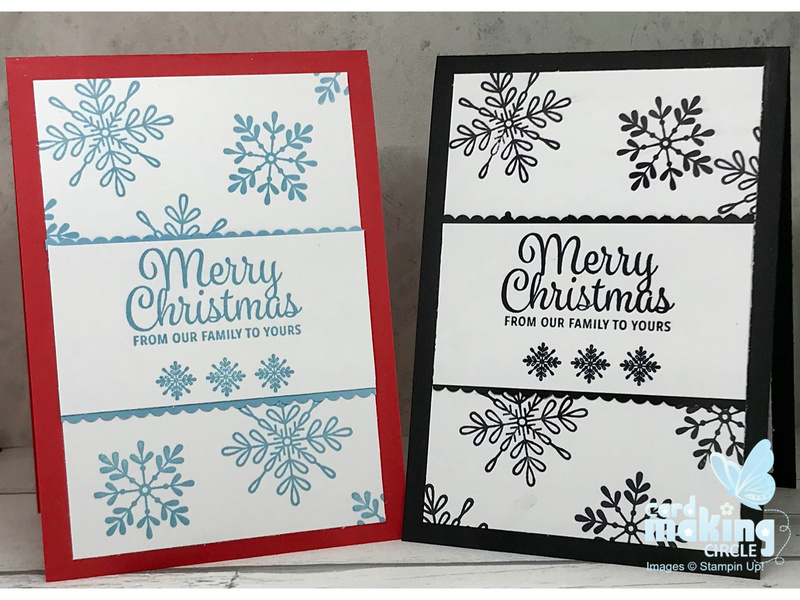 These two cards were created with the Snowflake Sentiments stamp set from Stampin Up!. 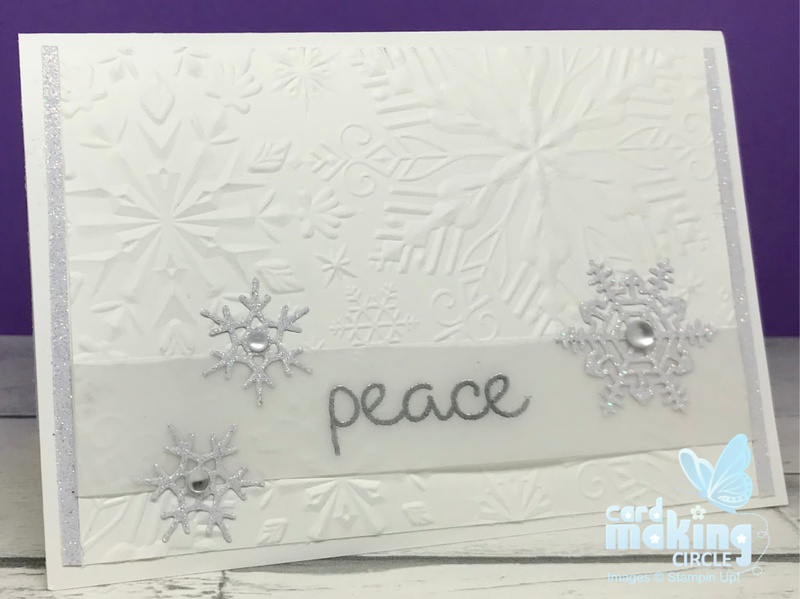 Stamp the two large snowflake stamps randomly onto white card. Mount onto a card base. Stamp the sentiment and row of snowflakes onto a white strip of card. Edge with a border strip punched from matching card with the Decorative Ribbon border punch. Glue to the top layer of the card. A quick and simple card that's easy to make in batches. For Card Two either stamp the top layer with a Watercolour Wash background stamp or create your own wash using ink and an aqua painter. 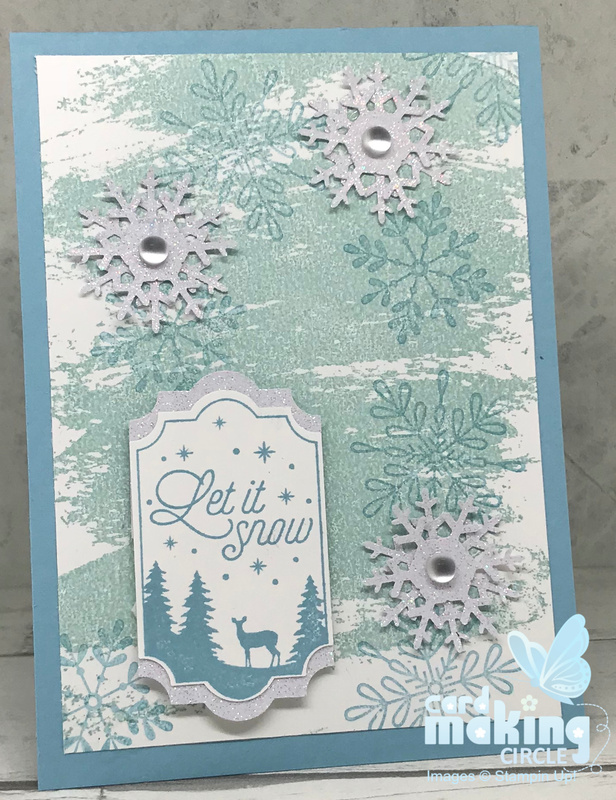 Use the large snowflakes from the Snowflake Sentiments stamp set to stamp over the watercolour wash. In this example they were stamped off once to lighten the ink colour. Stamp the "Let it Snow" sentiment (from Merry Little Labels stamp set from Stampin Up! 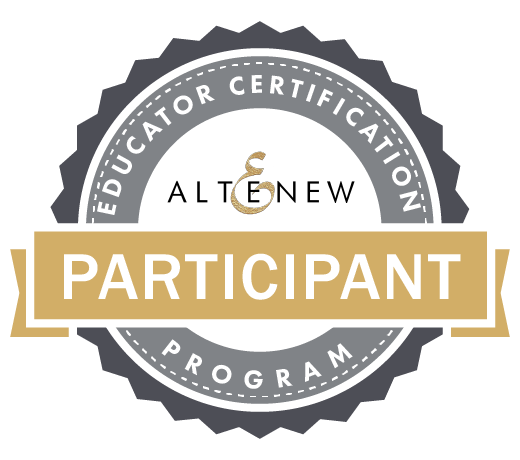 - now retired). Punch out with the Everyday Label punch. Punch an additional label from Glimmer Paper. Cut in half and add to back of the sentiment label for an accent. Add foam pads to the back of the sentiment label and mount onto the card front. Use a snowflake punch to punch 6 snowflakes (there are many on the market) from the glimmer paper. Stick two together for added dimension with glue dots and mount around the card. Add embellishments to the centre of the snowflakes for extra shine. Use a blending tool or brayer with two complementary ink colours to blend the background onto white card. Wipe the background with an embossing buddy to remove the static from the card. 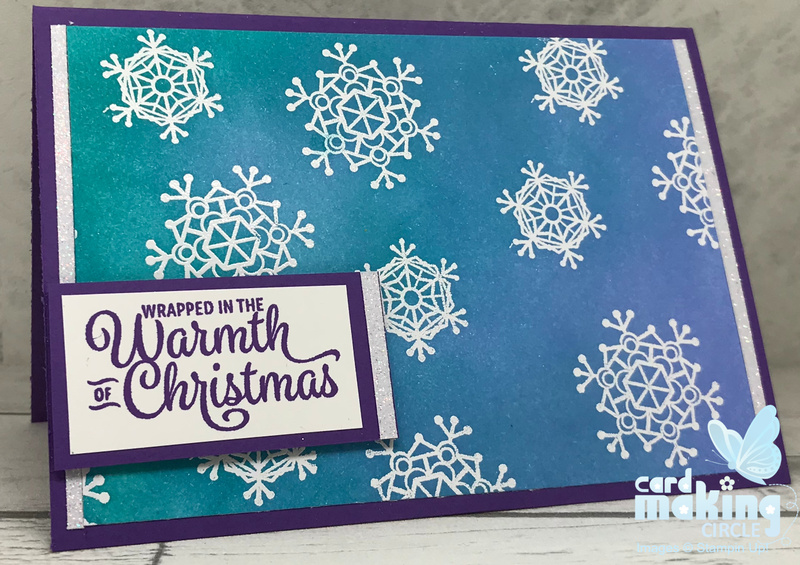 Use Versamark ink to stamp two different snowflakes stamps onto the background. Add a sentiment with foam pads to the top of the card. Cut and add small strips of Glimmer paper to the each side and the side of the sentiment for a bit of sparkle. Dry emboss the top layer with a snowflake embossing folder (from Sizzix). Heat emboss sentiment onto a strip of Vellum card. Fold around embossed card and stick down on the back before mounting on the card base. Add a die cut snowflakes, glimmer paper strips and embellishments to finish. 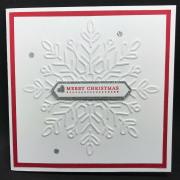 This card uses the same snowflake embossing folder as Card Four to create the top layer. Add a wintery shine with Frost White Shimmer Paint. 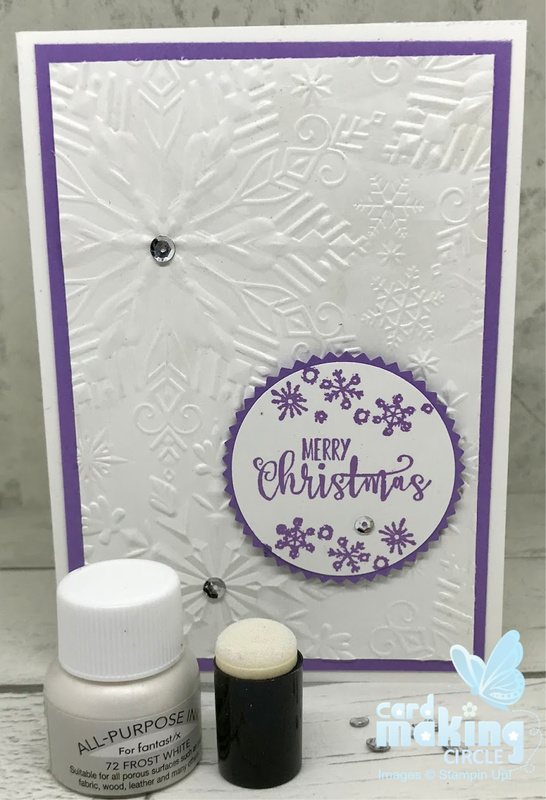 Shake the small bottle before opening and use the residue paint in the lid to apply to the card with a finger sponge dauber. Glue layer two to a contrasting layer one before sticking to a card base. Stamp and punch sentiment. Add to the top layer with foam pads.